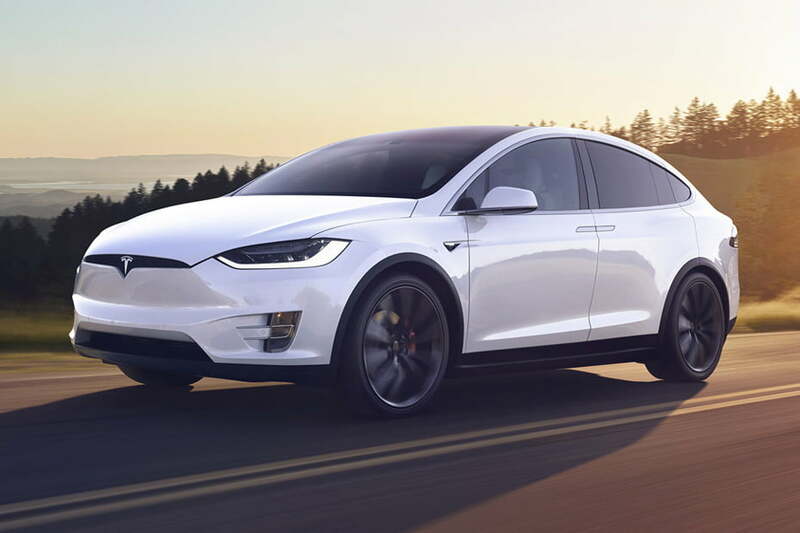 The driver of a Tesla Model X claims his electric crossover veered off the road and crashed after its Autopilot system malfunctioned. The accident happened late at night on Sunday, February 10, in New Jersey. The owner’s identity hasn’t been released yet, but the New Jersey law enforcement officials who arrived at the scene of the accident say he wasn’t hurt or charged. The Model X sustained significant damage, however. When questioned about what happened, the driver replied he was traveling with Autopilot — Tesla’s suite of semi-autonomous driving aids — turned on when the car “got confused due to the lane markings,” according to police officers who spoke to news website NJ.com. “The vehicle could have gone straight or taken the Adams Lane exit, but instead split the difference and went down the middle, taking the vehicle off the roadway and striking several objects at the roadside,” the police report explained. The document added the driver told officers he tried to regain control of the vehicle but couldn’t override Autopilot. This isn’t the first time a Tesla owner has blamed a crash on Autopilot. The California-based company normally accesses the vehicle’s data logs to piece together a precise idea of what happened before, during, and after the impact. The logs notably reveal whether the driver kept both hands on the steering wheel, whether the car warned the driver of imminent danger, and whether the brakes were applied to avoid a collision. In this case, Tesla hasn’t released its findings yet. It nonetheless stressed its cars and its Autopilot technology are both safe to use. “Safety is the top priority at Tesla, and we engineer and build our cars with this in mind. We also ask our customers to exercise safe behavior when using our vehicles, including following the car’s instructions for remaining alert and present when using Autopilot, and to be prepared to take control at all times,” a representative from the company told Digital Trends via email. The firm added drivers can easily override Autopilot by lightly touching the steering wheel or the brake pedal — anyone who has ever used cruise control will be familiar with this method. Tesla also cast doubts on the driver’s accusations by pointing out the brakes can cut power to the electric motors regardless of what Autopilot instructs them to do, and by noting that it’s possible to override the steering assist function by turning the wheel in the desired direction of travel. In other words, from Tesla’s perspective, regaining control of a vehicle traveling with Autopilot engaged shouldn’t be a problem. “Since we launched Autopilot in 2015, we are not aware of a single instance in which Autopilot refused to disengage,” the representative concluded.